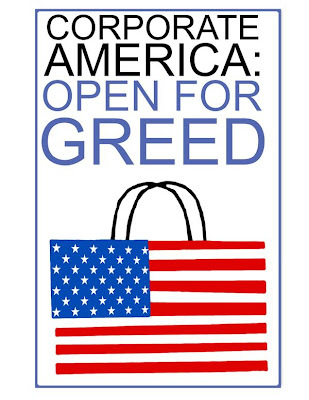 "Corporate America: open for greed" with US flag on shopping bag. This was created to tape over the real signs of participating businesses' windows. It should be printed on tabloid size paper.